It’s not easy being the third entry in a popular series, no matter the medium. If the immediate sequel manages to live up to or surpass the original, then the threequel has an even steeper hill to climb. Mega Man 2 was the game that made Mega Man a bona fide video game icon, so Mega Man 3 had a lot expectations to meet in 1990. Thankfully, Mega Man 3 was up for the challenge, and is a sequel that is almost on par with the series’ sublime second entry. Mega Man 3 uses the same groundwork as the first two installments: Mega Man runs, jumps and shoots his way through eight selectable stages, gains a new power from defeating each Robot Master at the end of those stages (with each Robot Master’s power being particularly effective against another), and finally makes his way to a series of stages in Dr. Wily’s fortress. The setup may sound very familiar, but Mega Man 3 brought some clever gameplay innovations and twists to the game’s progression to make it anything but a cookie cutter sequel. The most simple such innovation is Mega Man’s new slide move. 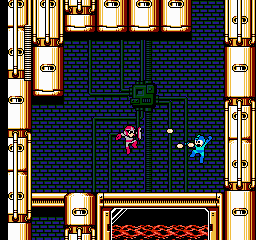 The slide allows Mega Man to make his way through small spaces as well as avoid a good deal of enemy attacks. It’s a seemingly basic mechanic that becomes an incredibly useful tool throughout the game. Mega Man 3 introduced two vital character additions to the franchise: Rush, Mega Man’s robotic canine, and Proto Man, the Blue Bomber’s morally ambiguous older brother. Rush replaces the non-combat powers from Mega Man 2, and gains new abilities and transformations throughout the game, including a spring to give Mega Man a boost in his jump, a jet to fly over large gaps, and a submarine to maneuver in water. Proto Man serves as a recurring mini-boss throughout the game. Although Mega Man 3 still has a simplistic story like the previous titles in the series, Proto Man’s presence was a good attempt at adding a new layer to the series’ narrative. Aside from new characters, Mega Man 3’s biggest innovation to the series was the twist that occurred after defeating the eight Robot Masters. 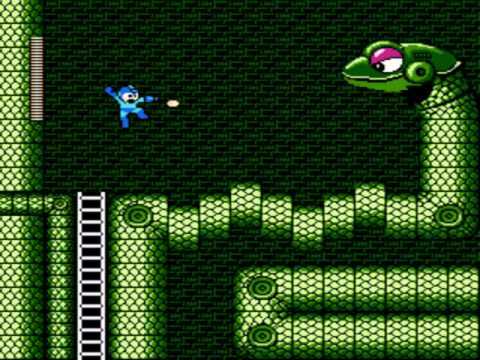 In the two previous titles, Mega Man would automatically progress to Dr. Wily’s fortress after defeating the eight standard stages. But in Mega Man 3, after besting the Robot Masters, four of the stages must be completed again, with new, more challenging level designs. During Mega Man’s first run through these stages, some areas might be closed off or out of Mega Man’s reach, but they become accessible during Mega Man’s return visits. Some areas see more enemies and traps pop up the second time around. 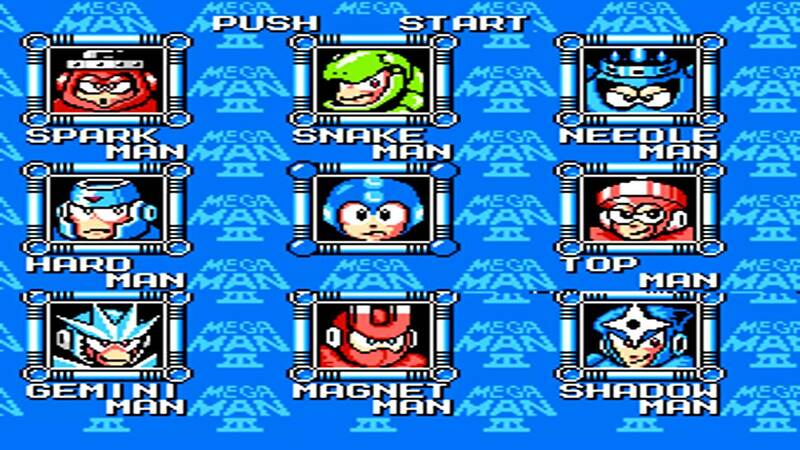 And, in a brilliant little twist, all eight of Mega Man 2’s Robot Masters return, in spirit, as the boss fights of these revisited levels. The four altered stages not only add a fun spin to the Mega Man formula, but also extend Mega Man 3’s total playtime, making it the lengthiest of the NES Mega Man titles. Mega Man 3 continues the series’ tradition of top notch presentation. The graphics are some of the most colorful on the NES, and the character designs give the game a great sense of personality. The music is on par with the second game’s as one of the NES’ best soundtracks. The only notable drawback in Mega Man 3’s presentation is that it suffers from slowdowns a lot more than Mega Man 2 did. 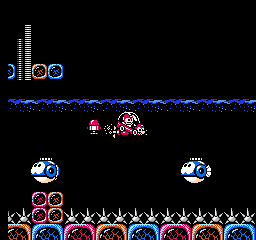 Mega Man 3’s stages are often filled with enemies and obstacles, and you may find that the game slows down considerably in more hectic moments. It may not be a big deal on its own, but with the extreme precision of Mega Man 3’s platforming, the slowdowns can lead to accidental game overs. The game follows suite with the series’ trademark difficulty. Mega Man 3 is a very hard game, and although it is a thoroughly enjoyable experience, there are a few instances that are so difficult they teeter on frustrating. Mega Man 2 was a hard game, but its challenge was never aggravating. Mega Man 3 seems tailor-made for those who mastered Mega Man 2, as those who aren’t Mega Man experts will have their patience tested. But these are ultimately minor issues in an otherwise stellar game. Mega Man 3 continues what Mega Man 2 achieved with terrific level design, polished gameplay and a fantastic presentation, and did it all while introducing some wonderful new tricks of its own. Mega Man 3 remains one of the Blue Bomber’s finest, and a must-have for anyone who enjoys gaming in its purest form. Yet another great entry on a spectacular series. Indeed. The first couple of Mega Man sequels were amazing! Even the ones that came later were still great games in their own right. It is a formula that simply cannot go wrong, and the whole robot-bosses thing is an endless source of ideas. I was a little disappointed when the slide ability was taken out of Mega Man 9. It’s endlessly debated amongst fans whether this or Mega Man 2 is the best game in the classic series (though I think 9 and 10 deserve consideration as well). Personally, I don’t think you can go wrong with any one those games. Very true. Even the “weakest” Mega Man titles were only relatively so. Every Mega Man game, even the less inventive ones, still had great gameplay and level design. I know I’m in a huge minority here, but I’m also a big fan of the underrated Mega Man 8 which, aside from the horrendous (hilarious?) voice acting, is a stellar addition to the series in my eyes.